NOW I must say that its not a super pointed peaked Chevron pattern, that is because on my Platinum Schoolbook Cartridge for my Cricut I had a zig zag pattern. You could use painters tape and hand do it that way, but I didn’t have any, plus I was to lazy. So I cut out the zig zag pattern, used mini glue dots to better hold the paper down. 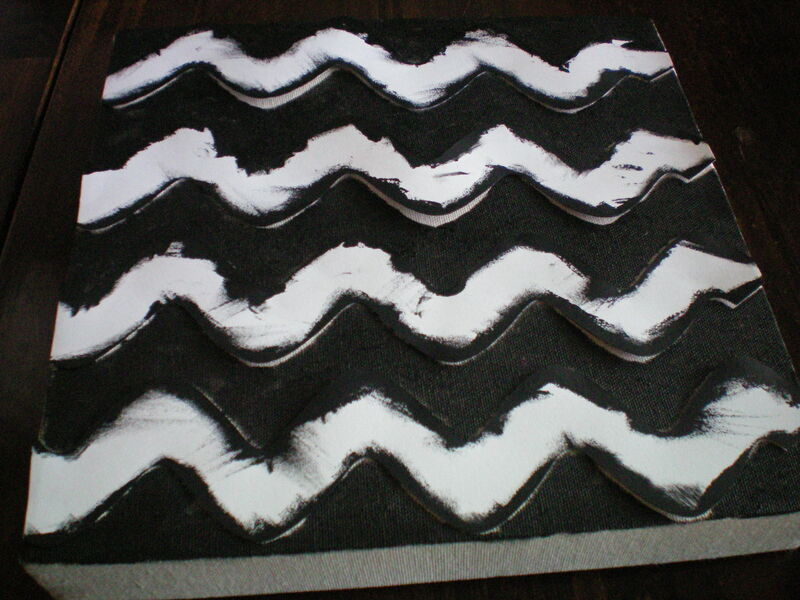 Then I used black acrylic paint to paint the Canvas Corp Board. with a sponge brush. Let Dry. 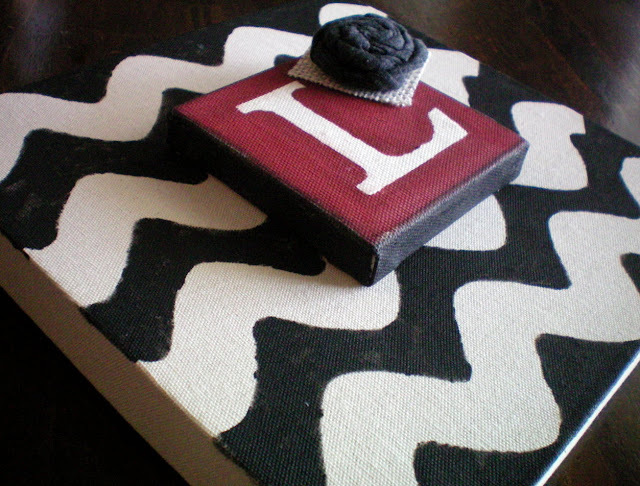 It doesn’t bother me in the slightest that the chevron pattern isn’t perfect, I like it to look a bit rustic if you will. 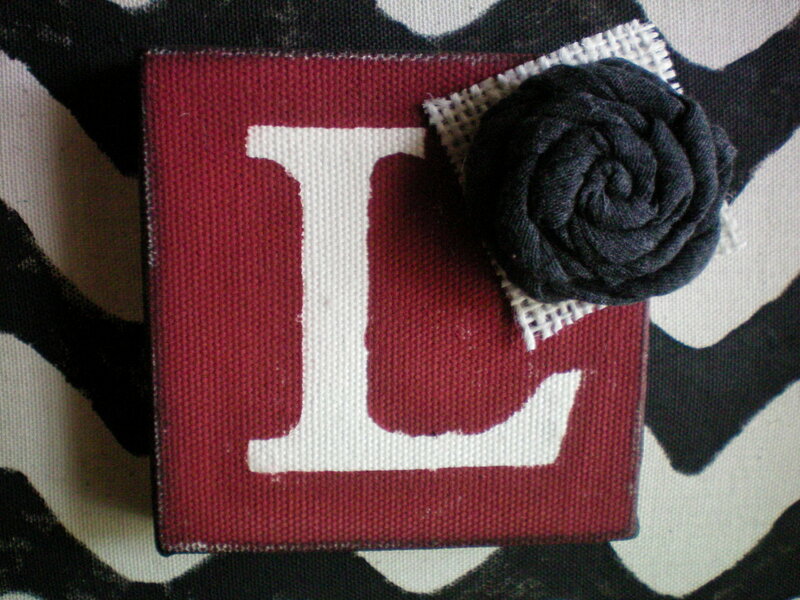 Next I used a smaller Canvas Corp. board and painted around the edges with black acrylic paint. 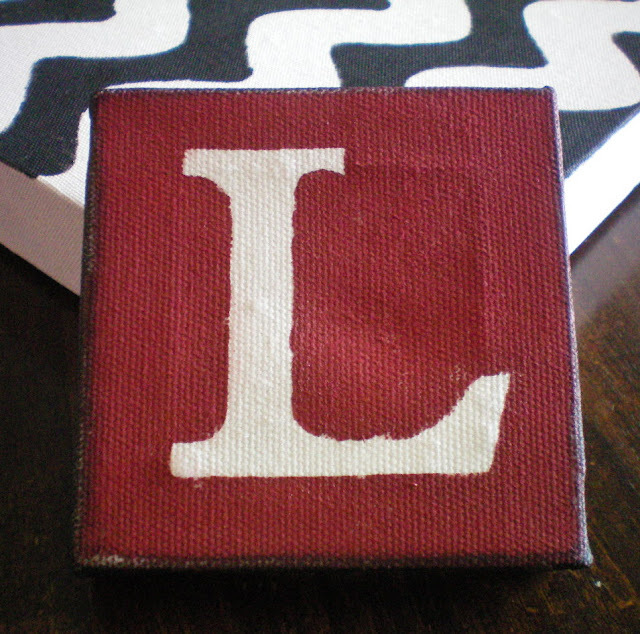 then I cut an L out of my Platinum Schoolbook Cricut Cartridge, and again used mini glue dots to help hold it down. 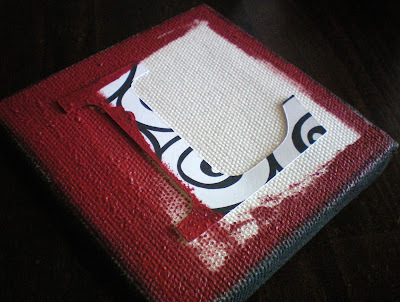 Then painted over it with red berry barn and bright red acrylic paint mixed together and dabbed the paint on. Let dry. 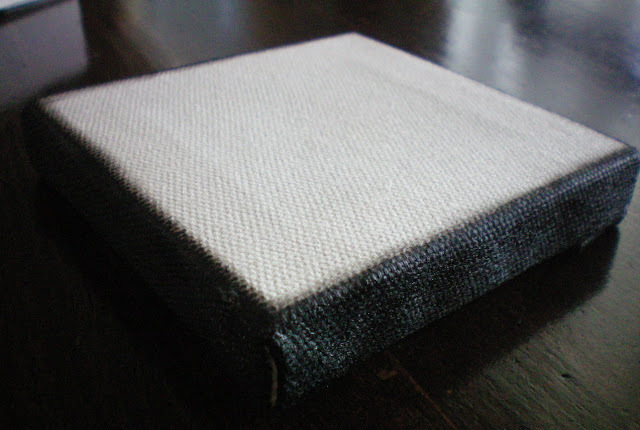 Lastly, I hot glued the smaller canvas board to the larger one, and then cut out a small square piece of light burlap and hot glued the burlap to the board and the dark grey flower on top of the burlap. 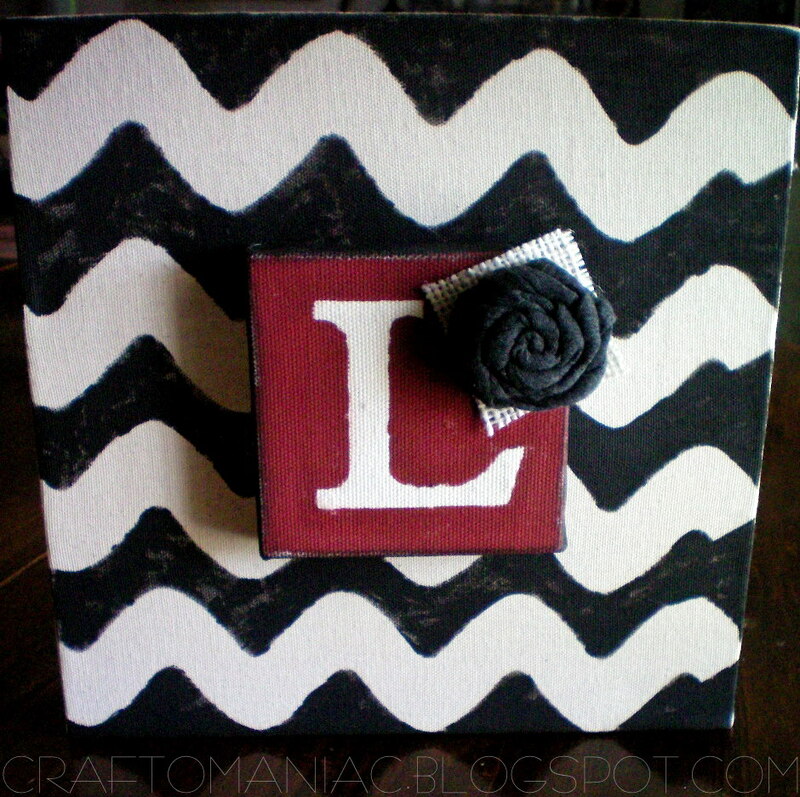 I am linking up with Show Me What you Got #19 at Not Just a House Wife Here Get Your Craft On at Today’s Creative Blog HERE. Blue Cricket Design for Show and Tell Party Here. and Between Naps on the Porch for Met. Monday HERE. LOVE LOVE LOVE!! Great job!! This is awesomeness at it’s finest!! Super cute. 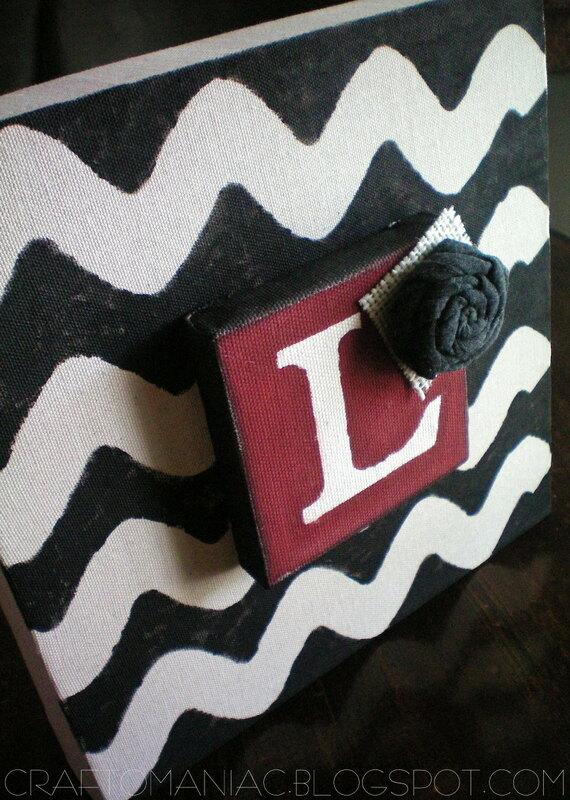 Love the rosette. 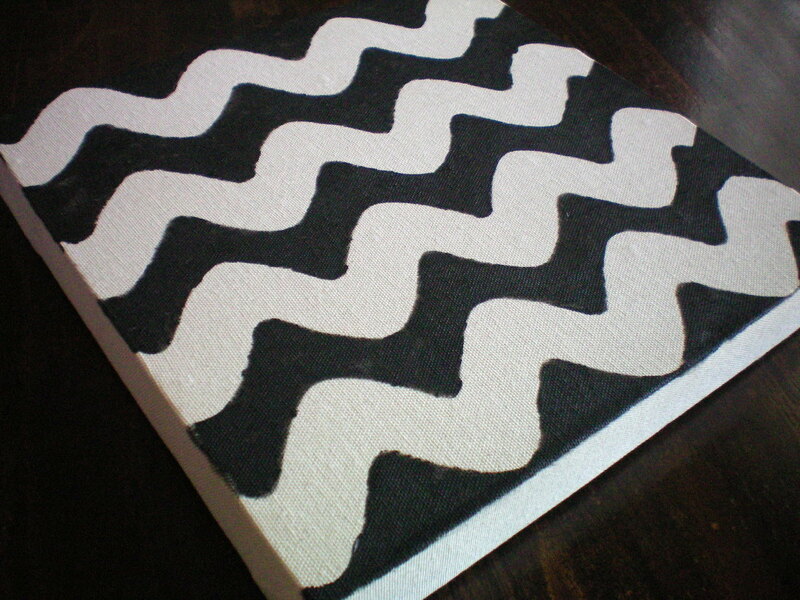 The chevron pattern is so classic and clean looking to me, I can’t see enough of it ;). Tuned out great! What a fun project! I think it turned out great! How are you feeling this week? Yep, I’m in (as you say)”Lurve” it. Really cute!! I like the rustic look! It looks great! 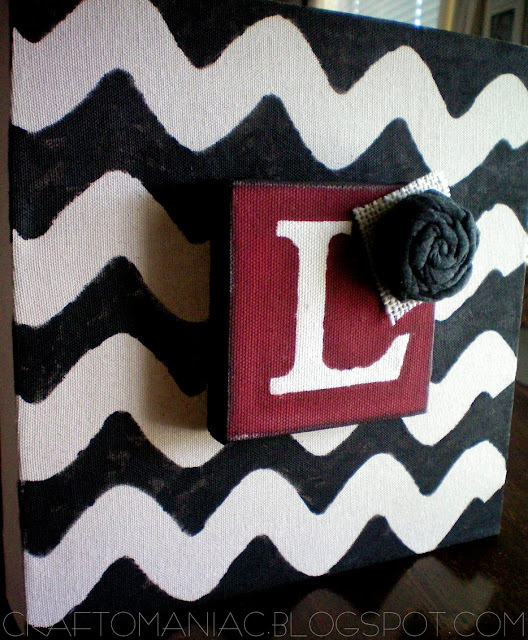 It make me want some Chevron! Jen…I just featured this fabulous project on the Canvas Corp blog and FB page!! In love with it! I will be putting in on Redberry FB page also! I shared your tutorial on my Friday Favorites post today. Thanks for sharing the creativity, and have a beautiful weekend!